Twistron Yarnology Generates Power When Stretched #WearableWednesday « Adafruit Industries – Makers, hackers, artists, designers and engineers! There is no denying it, a lot of innovation is taking place in the field of smart textiles. 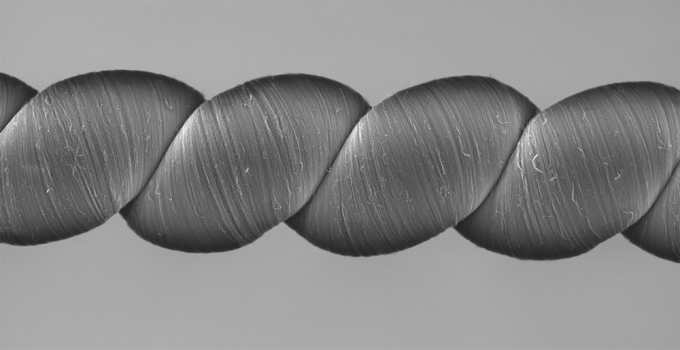 That is why we were super excited to read, in an issue of Science, that a research team,led by scientists at The University of Texas at Dallas and Hanyang University in Seoul, South Korea, have developed a new form of yarnology, called Twistron, that generates electricity when stretched or twisted.